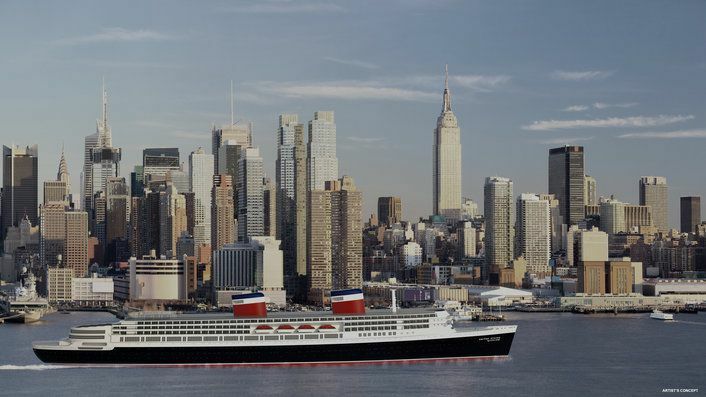 Crystal Cruises with the SS United States Conservancy, announced it will save “America’s Flagship”, the SS United States, and embark on the enormous undertaking of bringing the ship into compliance with the latest standards, and returning her to oceangoing service. During the announcement made at the Manhattan Cruise Terminal in New York City, Crystal Cruises also committed to covering all costs associated with preserving the ship while undertaking a technical feasibility study, which is expected to be completed by the end of 2016. The SS United States was launched in 1952 and captured the transatlantic speed record on her maiden voyage – a record to this day that still stands. She remains the largest passenger ship ever designed and built in America. Before her retirement in 1969, the SS United States was the most glamorous and elegant ship in the world, having transported four US presidents, international royalty, many of Hollywood’s “golden era” celebrities, as well as a million passengers. While the ship captivated travellers with its features and elegance, the ship’s origin was equally intriguing. She was designed as part of a top-secret Pentagon programme during the Cold War, which stipulated it could be quickly converted from a luxury liner into a naval troopship in the event of a war, carrying 15,000 troops with a 240,000 shaft horsepower propulsion plant capable of traveling 10,000 nautical miles – almost half way around the globe – without refueling. My family traveled back to the United States from Europe on the SS United States in 1960 when my father retired from the Army. I remember so many wonderful things about this beautiful vessel. When coming into New York harbor and as we passed the Statue of Liberty I finally learned to tie my shoes! A great moment in time!! Congratulations on this wonderful adventure - I hope to one day be able to take another trans Atlantic crossing on the SS United States.